17th Ave Retail & Entertainment District Over 400 unique shops, services and more to explore. Only on 17th Ave. Set in a lively outdoor environment the 17th Ave Retail & Entertainment District spans 17th Ave between 2nd and 14th Street SW - close to downtown and Stampede Park. Boutique shops, fine-dining restaurants, lively lounges and inspirational cafes mix to create Calgary's most popular lifestyle destination.There are also a host of salons and spas, business offices and services that include everything from tailors to dentists. 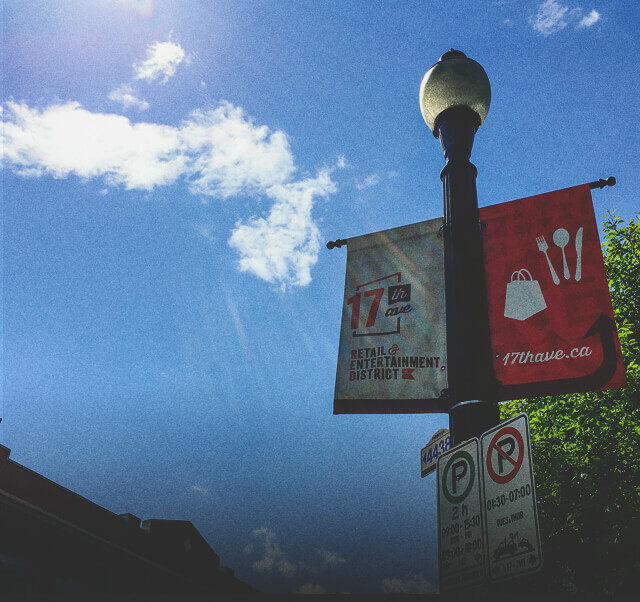 17th Ave has been a popular destination for Calgarians and visitors for decades. 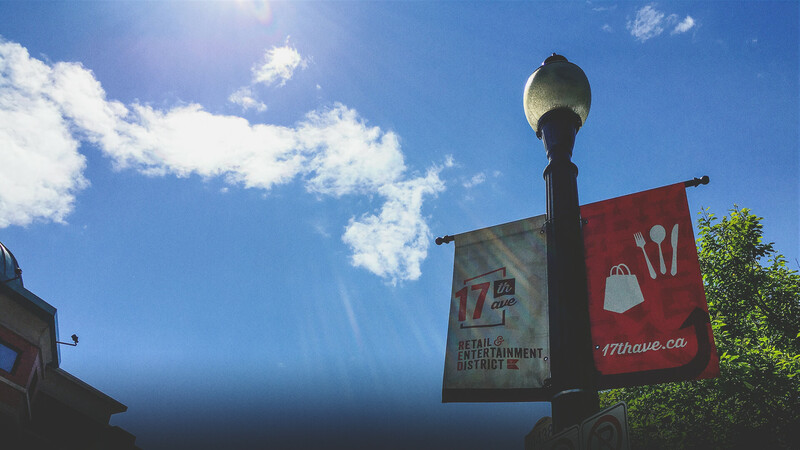 Come experience all that 17th Ave has to offer. Visit us online for more. Boutique shops, fine-dining restaurants, lively lounges and inspirational cafes mix to create Calgary's most popular lifestyle destination. The “red mile” was born on 17th Ave during the Calgary Flames’ 2004 run to the Stanley Cup. Fans wearing red filled the streets to support their team.